If you’re building a desktop PC, one of the most important steps is to decide what sort of case you need and how much you plan to spend on it. Desktop towers come in all shapes, sizes, and price brackets, and there are plenty of highly rated models in the sub-$100 range to suit budget-friendly builds. One popular and well-reviewed case is the NZXT S340 mid tower, which can now be had for as little as $60 from Amazon. 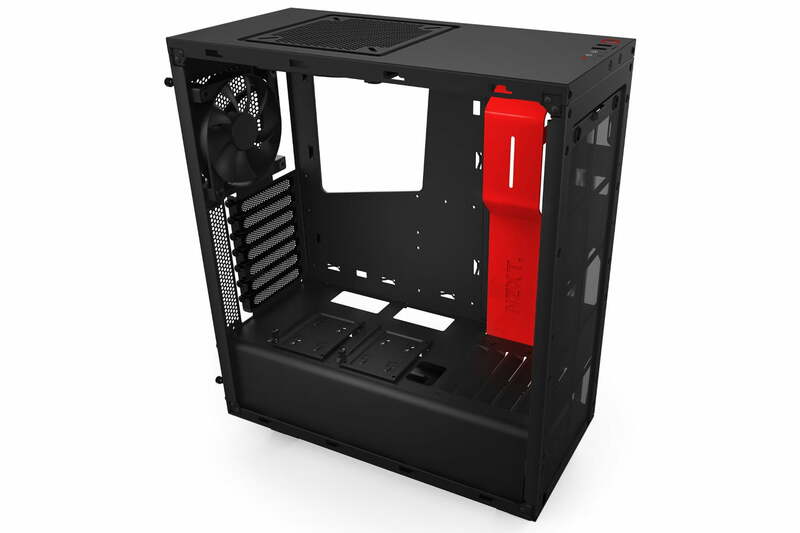 The NZXT S340 mid tower PC case is constructed from durable forged steel with a clear ABS plastic window on the left side that shows off the internals of your build. The S340 comes in at just under 18.7 inches tall — roughly two inches shorter than similar mid towers — for a compact footprint that won’t hog desktop space. The minimalist black design features optional color accents for some visual flair that isn’t garish or gaudy. 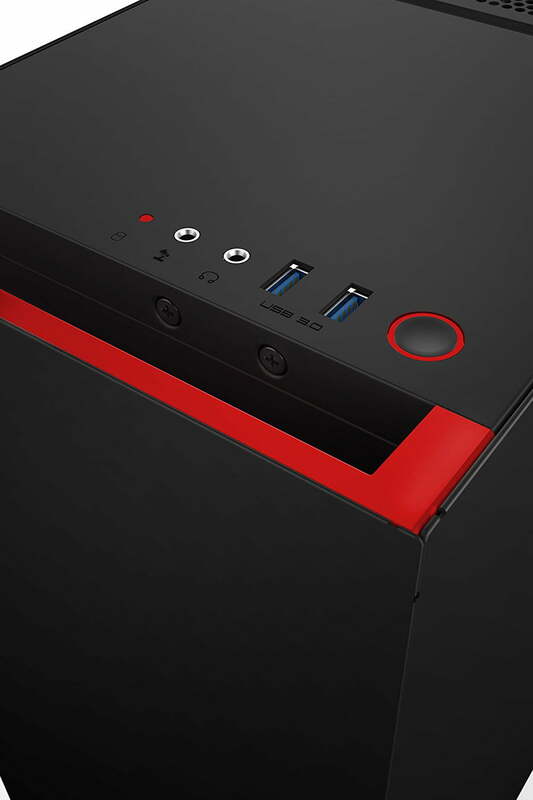 On the inside, the S340 offers seven expansion slots along with three 3.5-inch hard-drive bays and two 2.5-inch bays. A dedicated PSU shroud and a grommet-less cable management bar help you tidy up your internal components for a clean build, an important feature when it comes to appearance and heat reduction. Filtered intakes reduce temperatures as well by helping to keep excess dust from clogging up the works. On the front, the I/O panel provides two high-speed USB 3.0 ports, a 3.5mm headphone jack, and a microphone jack. The NZXT S340 mid tower remains a popular desktop PC case for its attractive minimalist style, solid construction, well-engineered internals, and low price point. The current 20-percent discount makes the S340 even more affordable for a limited time, bringing the red and matte black case down to $60 on Amazon. For just $5 more, you can get the flat glossy black model as well as the blue and matte black version.